Bearded train driver, out-of-pocket teacher and CV faker: How would they fare in court? Two male subway train conductors recently sued the city of Osaka for ¥2 million each in damages for mental suffering after the city, their employer, lowered their personnel evaluation scores due to their facial hair. The pair claimed the appraisal violated their right to personal dignity (jinkakuken) guaranteed in Article 13 of the Constitution. 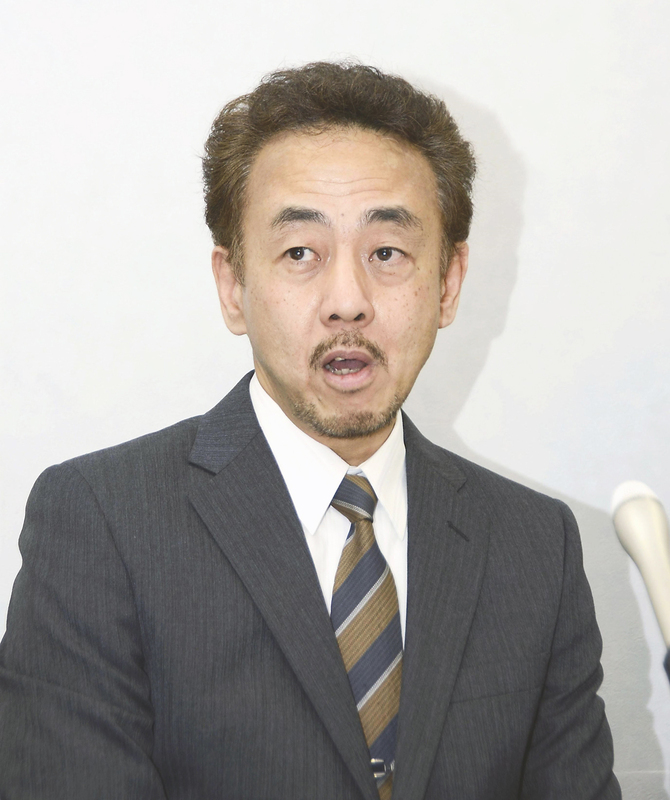 Celebrity political maverick Toru Hashimoto enacted an ordinance cracking down on the dress code for civil servants in 2012, when he was mayor. In line with the ordinance, the city’s Transportation Bureau drew up “personal appearance standards” prohibiting men from growing beards and (you may want to sit down for this) mandating that female city employees wear make-up. Two veteran subway conductors in their 50s ignored stern orders from their superiors to shave off their beards. Their personnel evaluation ratings were consequently dropped to the lowest and second-lowest of five ranks. The drivers sued, claiming that facial hair — like clothing and hairstyle — is a matter of personal liberty, and that such a devaluation violated their constitutional right to personal dignity. The case has just landed in the dock, so we’ll see how it goes. I’m cautiously optimistic they will prevail. The city of Chiba’s Board of Education recently announced that the local water company had billed them for ¥4.38 million after a faucet was left open at an elementary school pool for 20 days straight. The volume of wasted water from the flooding of the 25-meter pool reportedly amounted to over 14 million liters, or about 28 pools’ worth. A physical education teacher in his 20s had, during a routine summer break inspection, discovered that the pool’s filter was broken. He thought that topping up the water would be a good stopgap measure to maintain water quality, so he left the tap on with the intention of turning it off when the filter was fixed, which it was two days later. Only the gym teacher forgot to close the tap back. Oops. 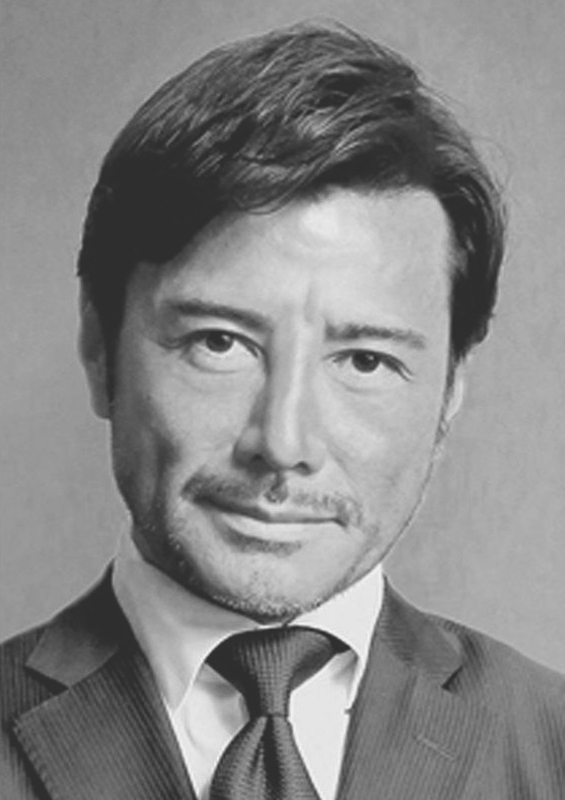 Forty-seven-year-old Sean McArdle Kawakami (spoiler alert: not his real name) was known as Sean K, a good-looking (ikemen) management consultant who dominated both TV and radio with his hot looks, smooth, velvety voice and spot-on commentary. That was until scoopmeister magazine Shukan Bunshun brought his career to a screeching halt by exposing Sean K’s academic background as little more than a bundle of lies. He never got a bachelor’s degree from Temple University; rather, he dropped out after 10 months. Neither did he receive an MBA from Harvard, nor study at the Sorbonne in Paris; rather, he attended a couple of open classes at each. “He never attended any degree-conferring program,” the magazine noted. The beard story raises the question of how labor law treats dress codes. 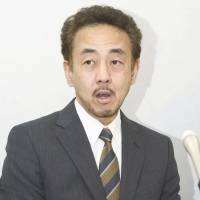 Always starving for attention, Mayor Hashimoto, who has openly admitted to harboring dictatorial tendencies, decreed that “Osaka City workers will follow my instructions. They should maintain an appearance appropriate for a civil servant. Osaka citizens are the customers of city workers. Don’t do anything that makes your customer feel uncomfortable.” The mayor also conducted a survey of all city employees, demanding to know which ones had tattoos and promising to punish those who refused to answer the survey. 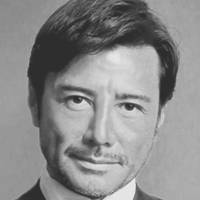 Hashimoto’s opinion of women is clear from his attempt to compel women to wear make-up alongside the prohibition of men’s facial hair. This is repulsive to me, and I wonder if, in a legal sense, we can allow employers to interfere with the physical appearance of their workers. Case law thus far, as well as prevailing opinion, both consider hair length and facial hair to be a matter in principle of personal preference protected as part of the right to personal dignity under Article 13 of the Constitution. On this other hand, this liberty may be restricted to “some degree” if and only if there exists some sufficient rational, logical reason related to the performance of the employee’s work duties. How do we determine the reasonableness (gōrisei) of such a restriction? First, we must ask if the purpose of the restriction of personal appearance is justifiable. Second, is the method for achieving that purpose rational and reasonable? Third, are the details and degree of the restrictions appropriate? The general rule is that for jobs bringing the worker into direct contact with customers — such as sales agents and receptionists — it is reasonable to demand that workers appear presentable in order to reassure customers and contribute to the credibility of and confidence in the company. We should be cautious, however, when it comes to what degree a worker’s appearance can be restricted and what penalties can be levied in the event of violations. Subway conductors don’t really come into direct contact with customers, so it seems to me that compelling them to shave and lowering their evaluation when they don’t represents high-pressure tactics that go beyond any conceivable notion of gōrisei. Such restrictions are thus illegal, in my opinion. On the other hand, Japanese courts tend to shy away from making rulings based on the Constitution, so even if the workers in this case win in court, the judges will likely avoid making any judgment on the constitutionality or otherwise of the restrictions. A worker can be liable for damages caused by intentional sabotage or careless neglect, but even then the matter must make its way through the courts; an employer cannot unilaterally dock wages. The amount the worker would eventually have to pay in the event that they lost the case would be determined by the amount of financial damage caused, based on Articles 415 and 709 of the Civil Code. These articles were revised to allow for some reduction in that amount based on the principle of shingisoku, a notion difficult to translate but that means something like the relationship of trust between two parties. The reasoning behind this partial exemption is that employers enjoy an overwhelmingly powerful economic advantage over employees, who endure a position of subordination, and therefore a cold calculation of the cost of the damage represents too harsh a penalty on the worker. Another perspective is that the employer reaps the benefit of the employee’s labor and therefore should incur a corresponding risk. It is unacceptable, under labor law, that the gym teacher and two of his bosses had to fork over money to pay for an honest mistake. One TV commentator said: “This is a correct judgment. I would pay if I were the teacher. I would feel too ashamed not to pay and wouldn’t be able to show up to work the next day.” Another pundit praised the principal and vice-principal for taking financial responsibility for their subordinate’s mistake. I feel quite the opposite. The media have not reported how the ¥4.38 million bill was split among them, but the principal and vice-principal’s offers to each pay a share makes it socially and culturally impossible for the gym teacher to refuse to pay. This is unspoken pressure approaching duress, in my opinion. I cannot understand why this self-sacrifice on the part of the worker and the two higher-ups’ gestures of collective responsibility are being glorified in the media. And then there’s Sean — I mean Shinichiro. The media have had a field day since the scandal broke over this good-looking academic wonder boy who was supposedly a so-called hāfu, meaning a “half” made up of mixed Japanese and foreign blood. Some say that the story has everything a Japanese viewer could wish for. Many halfs in the entertainment industry make the most of their mixed background, intentionally speaking with a foreign accent or pretending not to be able to use keigo honorific speech, among other tricks. Women’s fashion magazines often school readers on how to use cosmetics to make your face look like a half’s. But what would labor law have to say about this fallen celebrity? Disciplinary dismissals based on a worker’s falsification of their background are often disputed in court. Unlike an ordinary dismissal, a disciplinary dismissal can be done with zero notice and with heavy penalties, such as the forfeiture of guaranteed severance packages built up over the years. So courts may throw out a disciplinary dismissal but say the dismissal itself is valid, meaning the employer must pay the severance. Background falsification is taken very seriously by the courts, but it depends on the degree of the exaggeration. In cases where the judge determines that an employer would not have hired the worker had the former known the latter’s true background, disciplinary dismissals are usually upheld as valid. On the other hand, if the falsification was minor and had no impact on the worker’s ability to perform their duties, any disciplinary dismissal is usually overturned. Sean K was not employed and, in any event, he resigned voluntarily, so seeking redress in labor court is not an option in his case. But it is interesting to consider what might have happened had he been dismissed and sued over it in court. We can only speculate, but his background was drastically fabricated, so an overturning of the dismissal would be unlikely. I’ve used these three cases to outline the parameters between which workers can be punished. Employers have the legal right to maintain corporate order and to punish those who violate it, which is called This right is called chōkaiken. We should remember, however, that this right has limits, and these limits kick in where a worker’s rights to freedom and dignity begin.